Why Are Push Notifications So Important? Getting users to engage and re-engage with mobile apps is a challenge. One tactic to reach users who are online is push notifications. Push notifications are a fast and efficient way to communicate with your audience. Why are mobile app push notifications so powerful? Let’s consider the benefits that mobile push notifications can bring to your business. Push notifications can help you to attract more customers at certain touchpoints. They can help you send real-time updates and reminders that get your audience to regularly engage with your brand even if they’re not aware of it. 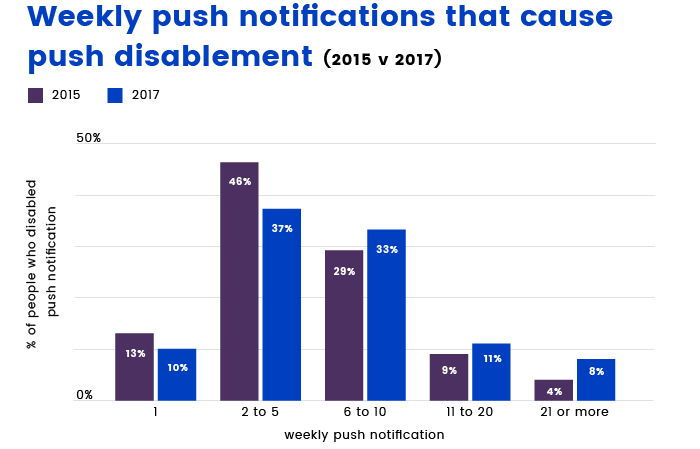 Based on a survey by Localytics, users in 2017 were willing to receive more push notifications than users in 2015 before disabling them. That means marketers have a better opportunity to communicate with customers through mobile push notifications today. 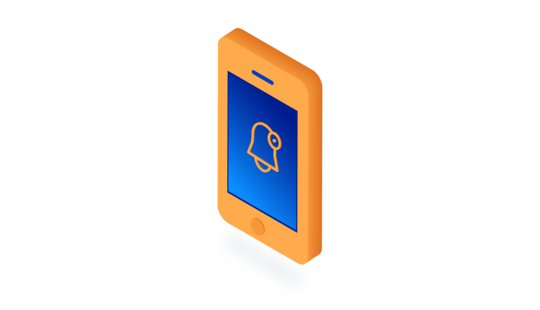 Mobile app notifications allow you to keep in touch with your users in a non-intrusive way by providing timely messages and helpful and relevant information like rewards descriptions and special offers. They also provide a great way of getting users to engage in new promotions or features. Many mobile apps have a lot of potential users who have downloaded the app but don’t use it. Push notifications are a good way to turn these inactive users into active users. 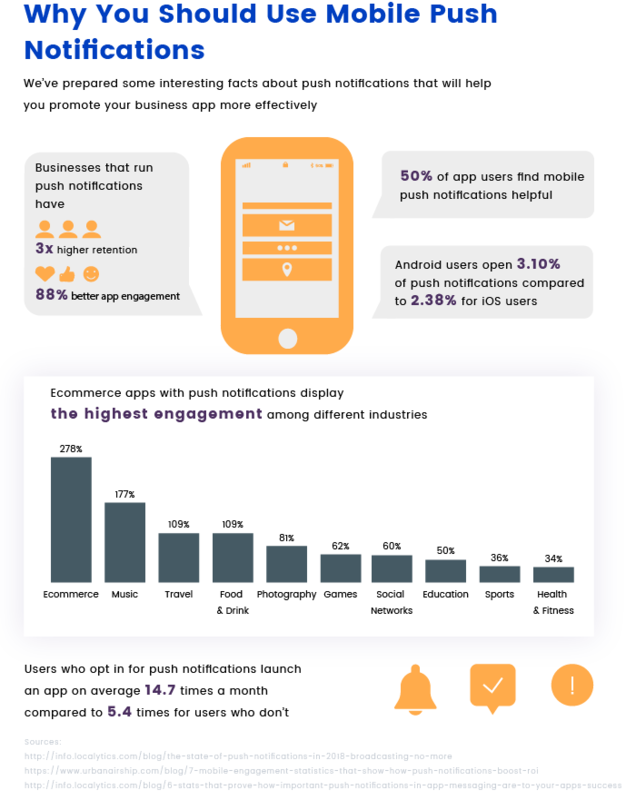 According to a study by Urban Airship, sending even more (high value) push notifications can increase app retention rates by 3 to 10 times. Actually, the retention rate for users who opt in to mobile notifications is much higher on average. Through notification messages, you can provide your users with thoughtful reminders, personalized offers, and breaking news. If your mobile notifications can show direct personal value, you’re much more likely to retain users for the long term. Timely marketing messages are the best way to increase conversion rates because they can notify customers or create a sense of urgency. For example, La Redoute had a problem with abandoned carts. People added items to their carts but left the store before completing their purchases. In order to fix this problem and retrieve lost customers, La Redoute started a push notification campaign where users would be alerted if they left the store with an item still in their cart. With the help of push notifications, the company increased their retargeting click-through rate by two to three times compared to classic mobile ads. With mobile notifications, you can trigger immediate purchases. Send your users informative messages and let them know about special discounts or limited-time offers in your online shop. In addition to this information, push notifications can offer instant purchasing with a single tap. 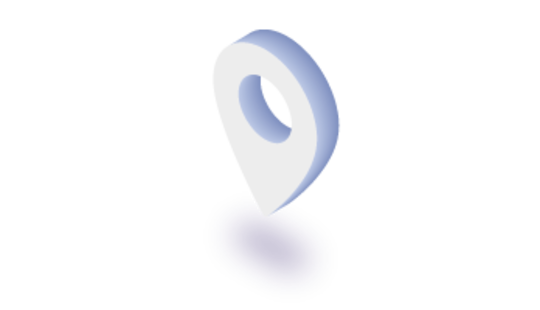 Mobile apps can ask for a user’s permission to access their location. If they grant it, you’ll get a great opportunity to personalize the customer experience with location-specific push notifications. A mobile app can send offers that are applicable to users in a specific region based on their time zone. You can target users according to country, state or city. For example, Waze does a good job reminding its users of nearby traffic situations and providing gas station updates like gas price. Moreover, you can alert users to discounts or specials when they’re in a particular location. Push messages based on a user’s location can help you engage users with a high degree of personalization and relevance. You can also send push notifications to users based on their interests. Like Netflix, you can use app and audience data to reach the right users. Netflix sends push messages to users who may be interested in a show. For example, you might receive a notification that a drama is now streaming while other people are alerted that a new season of Game of Thrones is up. It’s all about targeting the right audience. Another significant benefit of push notifications is that they help to track user behavior. Push notifications offer complex analytics with data on delivery receipts, open rates, open times, and engagement. With push notifications, you can get valuable insights into user behavior including interaction times and click-through rates to see which messages are more likely to be opened. Based on user behavior data, you can launch campaigns that connect better with users. Alerting customers of last-minute deals, coupons, and special offers is a powerful way to get an additional touchpoint in your marketing funnel. Push notifications form a complementary marketing channel where you can give extra, value-added information about your brand. In addition, mobile app push notifications offer strong recognition by allowing you to use logos in messages. Users are more likely to remember timely push notifications, increasing the essential value to your brand. Push notifications can considerably enhance your customer experience. They’re less intrusive than other forms of user engagement and can effectively drive traffic and help users by providing useful information. 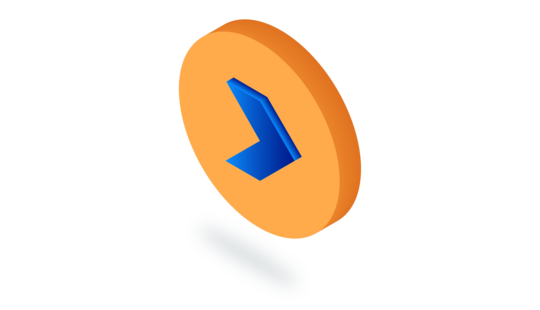 They allow your users to keep up with the latest updates, promotions, and offers. Push messages are a great tool to draw users’ attention. So make your notifications valuable and time-sensitive and keep a friendly and personal tone. According to Leanplum, individualized messages have four times the open rate of generic messages. So the more relevant and personal your notifications, the better the results you’ll achieve. 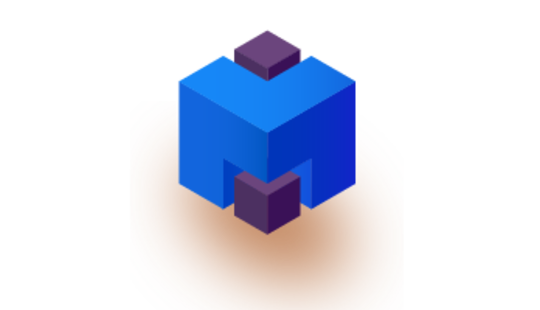 Push notification services can place deep links in push messages that direct users to a certain place in your app. Using deep links is a surefire way to engage users with your app, and with the use of a powerful call to action it causes users to perform the required action. Mobile push notifications are a winning marketing strategy for businesses. Sending well-considered, relevant, and timely notification messages to people who already have an interest in your business is a great marketing tactic. Through careful planning and a focus on your business goals, you can use push notifications to grow and retain your customer base. Are you interested in leveraging the benefits of push notifications? If so, reach out to our team at RubyGarage and we’ll help you build a successful mobile app.